I thought it would be fun to share my family's meals as inspiration for your own home cooking. 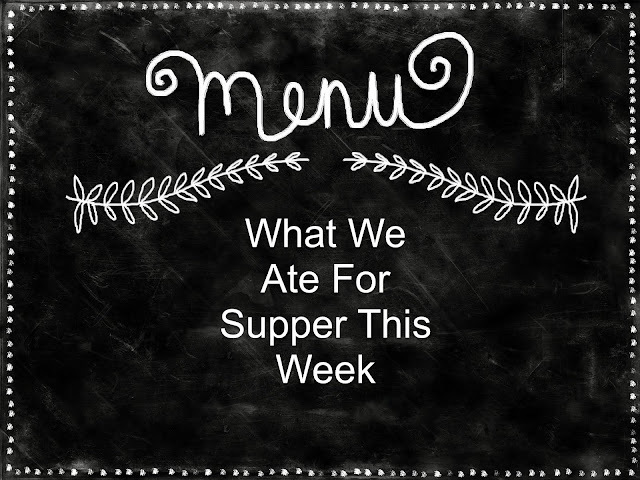 This week's menu is simple (and not all homemade) as we are still settling in from moving and are under construction in the kitchen! 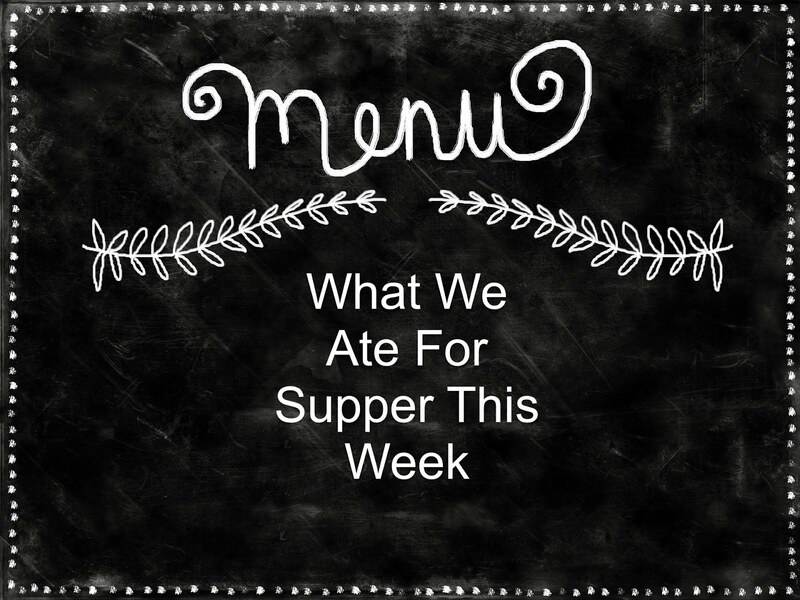 The next few weeks will probably continue to be simple, but it goes to show that just because you're busy doesn't mean you can't fix up some good home-cooked meals! Let me know in the comment section below if you would like to see more menus! Sunday - Hard and soft tacos, corn - Try my favorite taco seasoning! Monday - My Birthday! Fried clams, scallops and fries for me. Chicken sandwich for the husband and hot dogs for the kids. Do you like this sort of post? Let me know in the comment section below. Pictures might be nice and maybe include some of the recipes. Thanks! I definitely planned on linking to any recipes that I have already made and linking to some I make in the future. As for pictures, we'll have to see!